This week is Thanksgiving, which means Friday is BLACK FRIDAY and Monday is CYBER MONDAY. So, are you ready? Is your Shopping Cart set-up and your products updated? Just in case your not quite there yet, we put together some thoughts to help you out. You want your customers to be able to buy items from your web site smoothly and easily, feeling comfortable, confident, and familiar with their sensitive purchasing information. 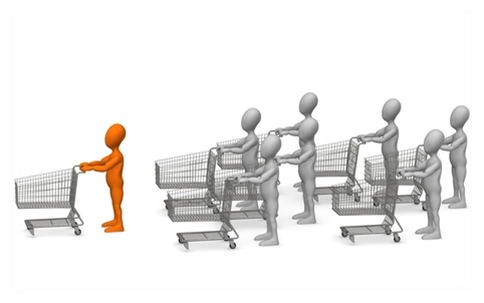 Shopping Carts allow for a universally known experience by letting customers track what they are purchasing, edit their orders, and “Check Out” when they are ready. Beginning or increasing your sales by adding Shopping Cart ability to your web site has never been easier. Consumers are more and more comfortable with Shopping Carts and when paired with Payment Gateways they make it a breeze to keep sensitive banking information safe and secure. Whether you are selling hard goods or soft (downloadable) goods, Shopping Carts truly bring your business to the next level. Visit the Office Solutions ME Business Resource Library page for more great ideas to increase your sales and manage your business. And as always, if you need further help, ask about our Virtual Assistance and Business Development services.